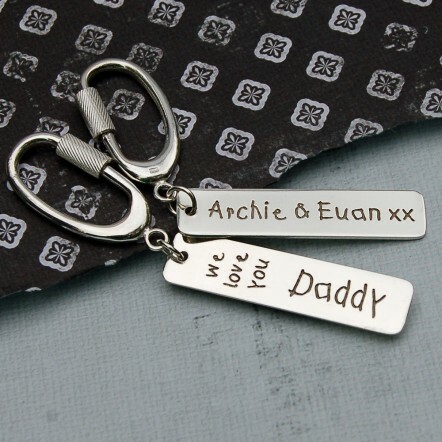 Our handmade personalised silver keyring makes the perfect gift for Mummy, Daddy, Grandad or any other family member to carry precious memories with them. 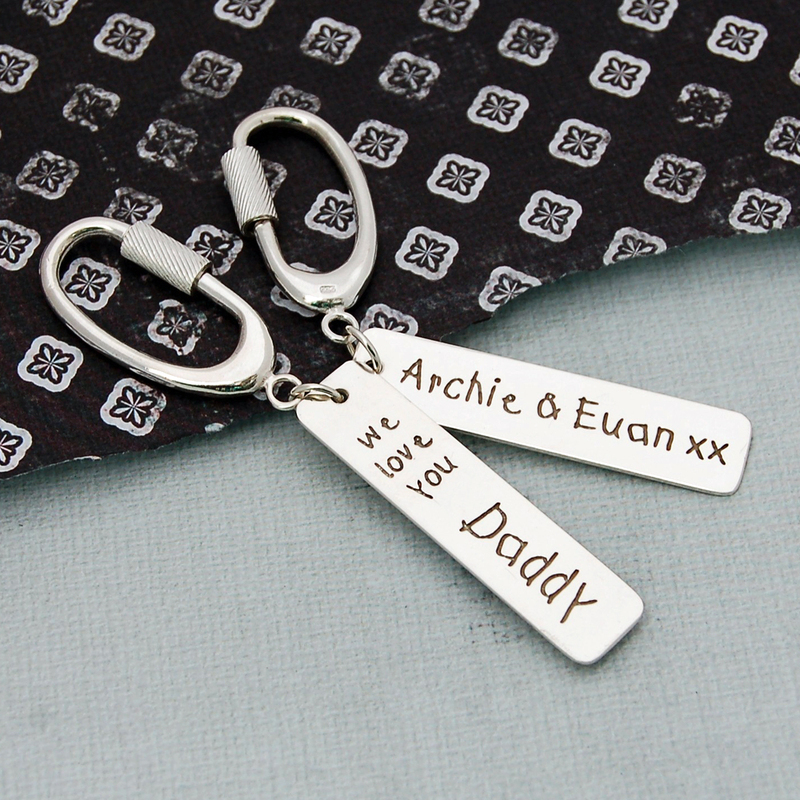 Add your own message to the sterling silver tag which hangs from a gorgeous solid silver screw oval shaped key ring or your choice of a range of Sterling Silver or Stainless Steel key fittings. 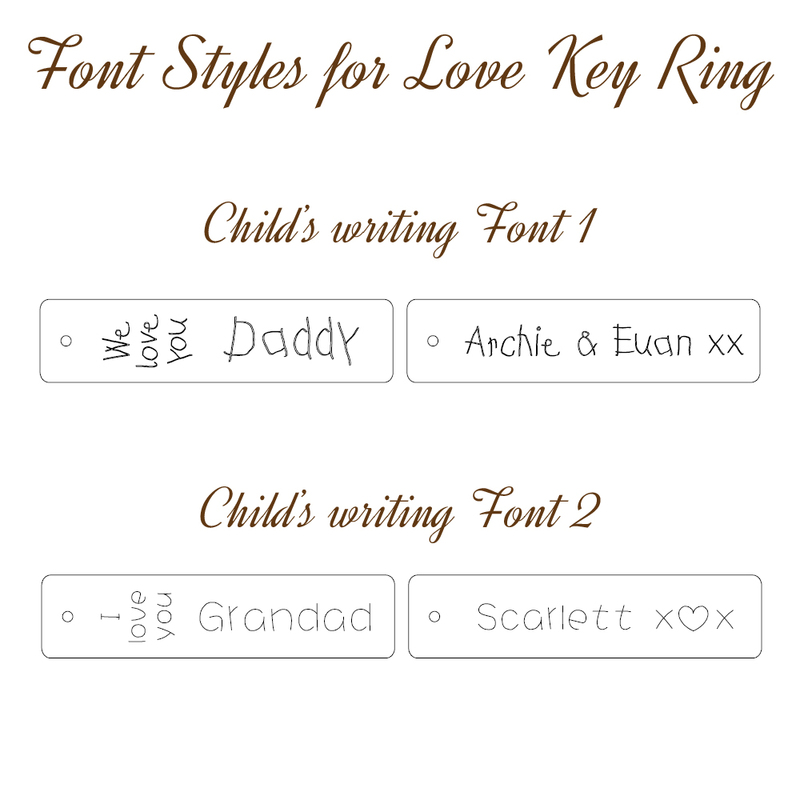 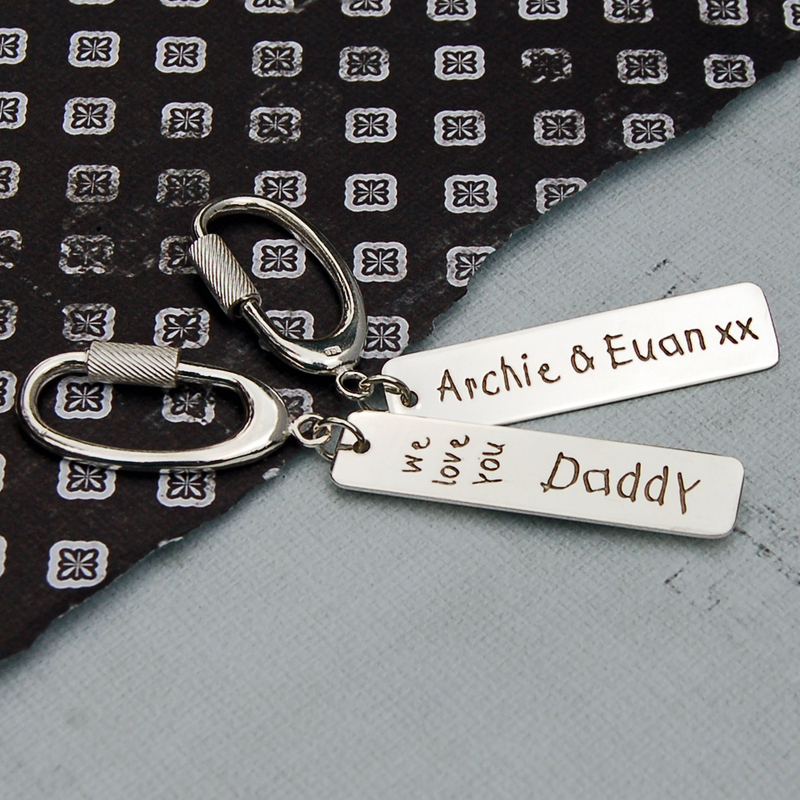 The sterling silver tag will be etched on the front with either “Love you”, “I love you” or “We love you” followed by the name of the person i.e., Mummy, Grandad etc up to a maximum of 7 characters in either of our popular Child’s Writing Fonts which are perfect for messages from little ones. 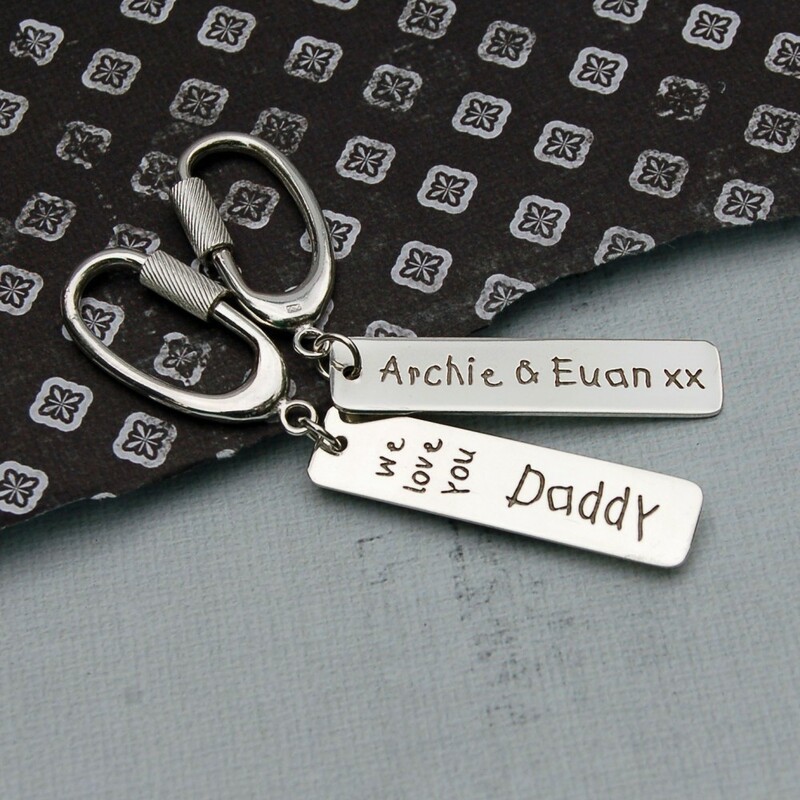 Then on the reverse you can have either the names of who it’s from or another short message up to 24 characters including spaces. 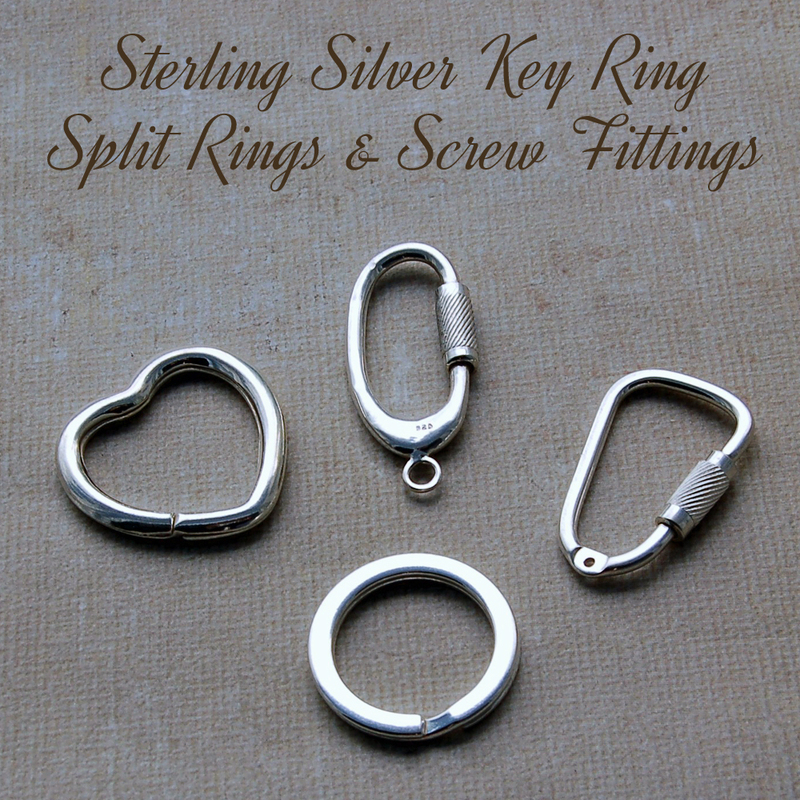 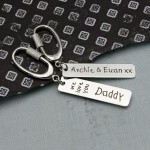 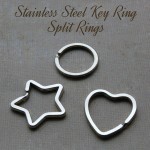 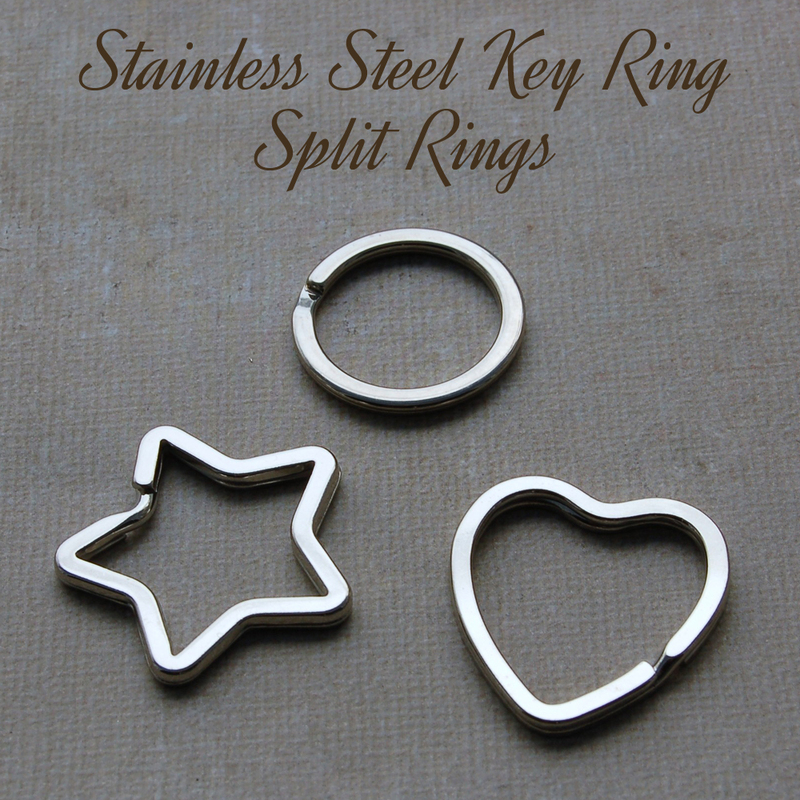 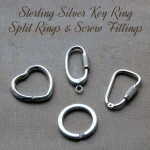 The etched tag is sterling silver and you have the choice of either sterling silver or stainless steel key fittings. This sterling silver tag measures 5cm long, just over 1cm wide and is a nice sturdy 1.2mm thick.